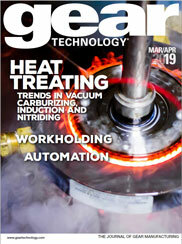 The article "Taking Care of Your Best Customers" appeared in the September/October 2010 issue of Gear Technology. We recently e-mailed an informal survey to 1,000 of our most loyal readers, each of whom has been a subscriber for at least 15 years. We were hoping to hear that our magazine is just as important to them today as it was when they first signed up. It was gratifying to find out that with most of the respondents, that was the case. The article "Taking Care of Your Best Customers" should appear in the box below, but if you do not see it, you can download it here.